With Pinky Murphy at August Dulcimer Daze. Lois Hornbostel, Ehukai Teves, Nina Zanetti, and Bill Collins. 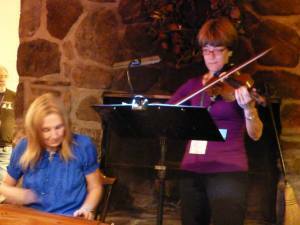 Please call Folk Craft Music (802-368-7437) for information about companion weekend workshops. General Admission: $15/adults and seniors; $10 student through high school.